Winter is in full swing, with storms rolling across the country and snow starting to pile up. And if you're caught without the right footwear, it can be miserable. But if you want to get out there and have a little fun (or just survive your commute without freezing or slipping on a patch of ice), a pair of high-quality snow boots is critical. To find out which pairs can truly stand up to the elements, we asked Meagan Murtagh, the Jackson Hole, Wyoming-based blogger and self-proclaimed mountain life enthusiast. She shared her tips for shopping, what to look for, and which pairs she wears throughout the cold Wyoming winters. "First and foremost, my feet need warmth," said Murtagh. "Any pair that has a fleece or fur lined insulation makes a huge difference in keeping your toes from going numb." "The second thing I look for is the sole of the boot — it needs to prevent slipping on ice and grip well on snow. There's nothing worse than falling in the dead of winter," she continued. "Thick rubber soles are a must. 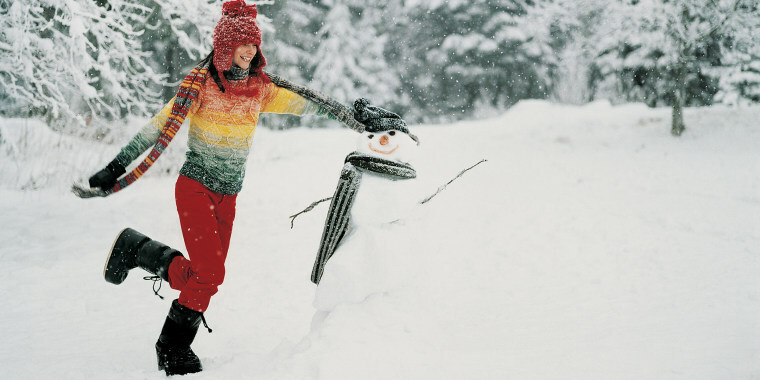 A waterproof pair that is pre-treated is an extra perk to having the boots last forever." Read on for 25 pairs of winter snow boots that will keep your feet stylish, warm and dry all winter long. 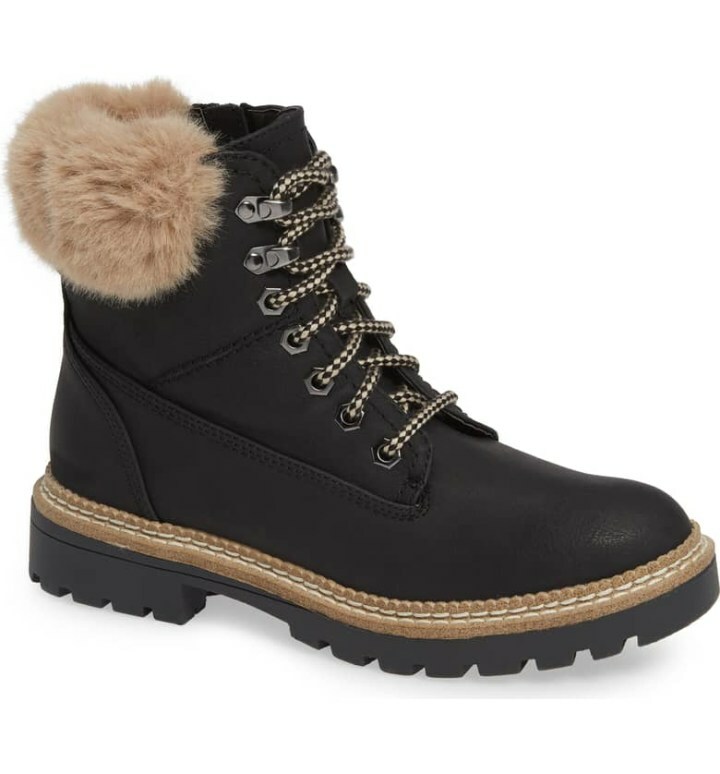 While definitely a splurge, these Sorel boots have become a sort of iconic winter boot, because they're a perfect mix of stylish and practical. 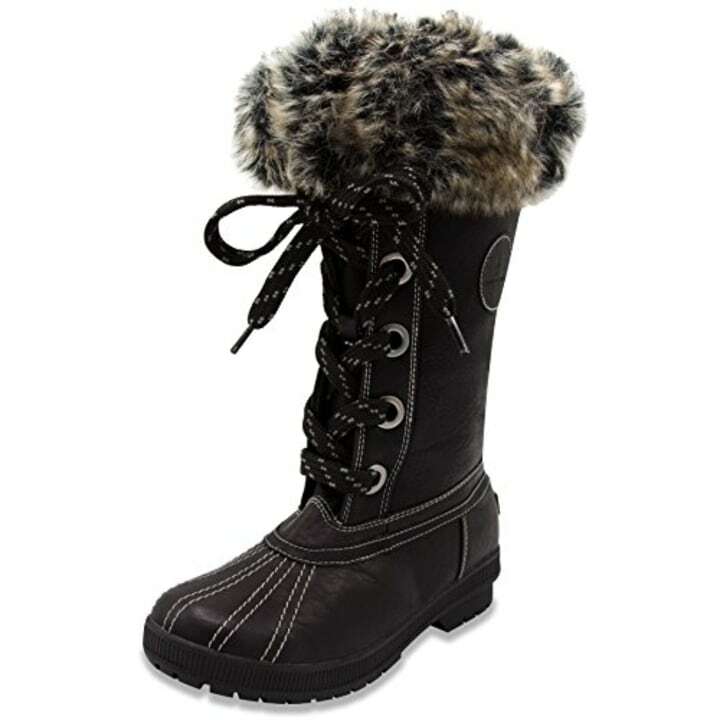 They're waterproof, made of full-grain leather and suede on the upper, and trimmed with soft faux fur around the cuff. Plus they've got a removable, recycled felt inner boot to ensure that your tootsies stay warm, dry and comfortable in harsh winter conditions. 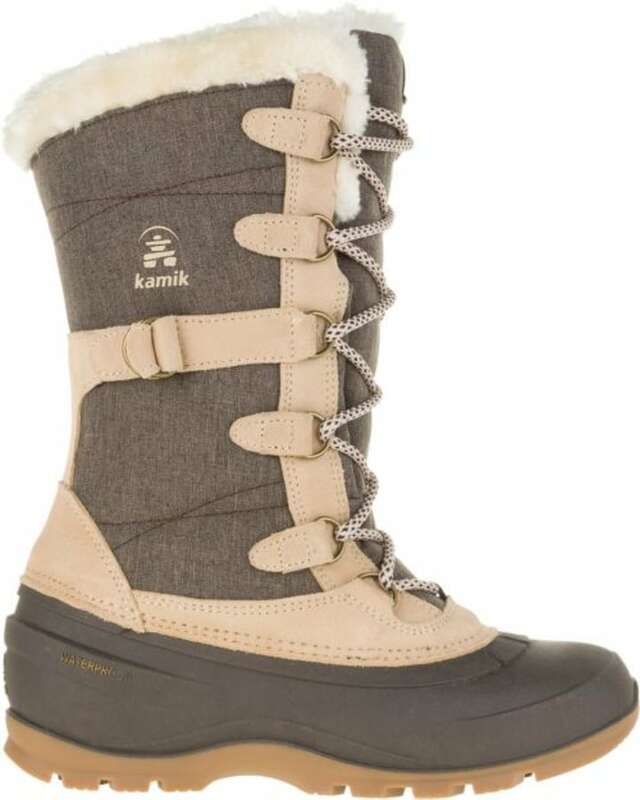 For anyone looking for a boot that's perfect for snow shoeing and running around outdoors, these Kamik boots are a great option (thanks to a counter lug on the heel). 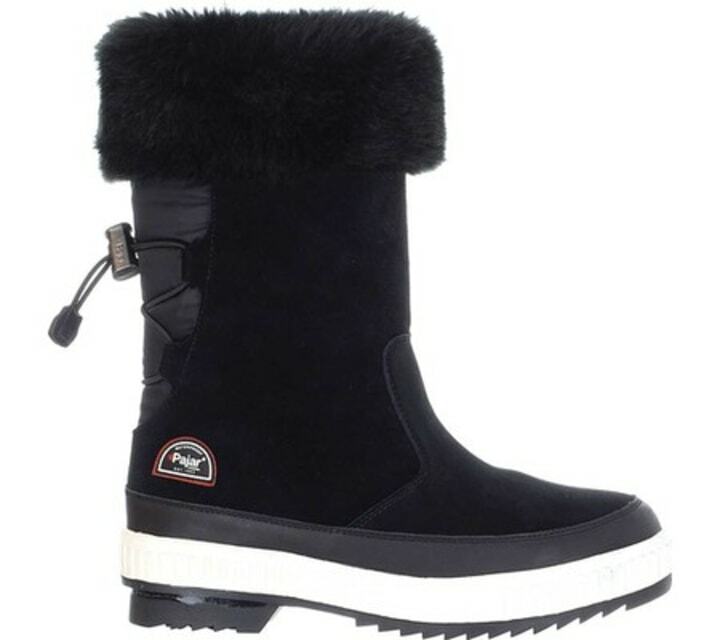 They're insulated with Thinsulate and topped with a faux shearling cuff, ensuring maximum warmth in wintry conditions. Considering these boots are 100 percent leather, waterproof and lined with Thinsulate, it's amazing that they start at just $25 from Amazon. You can also remove the shearling-topped lining to wash and dry it easily. 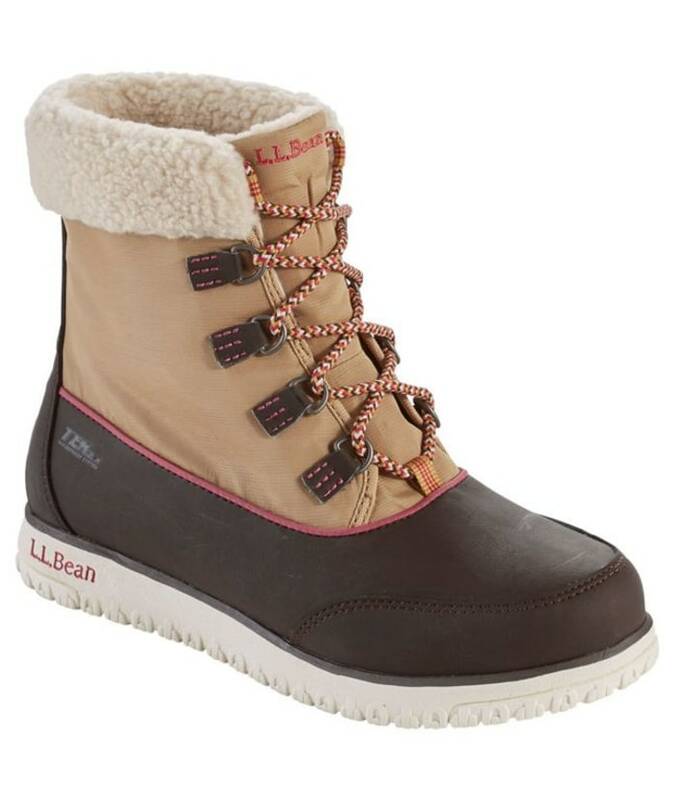 You can't beat the price on these waterproof, faux leather boots from iconic American footwear brand London Fog. 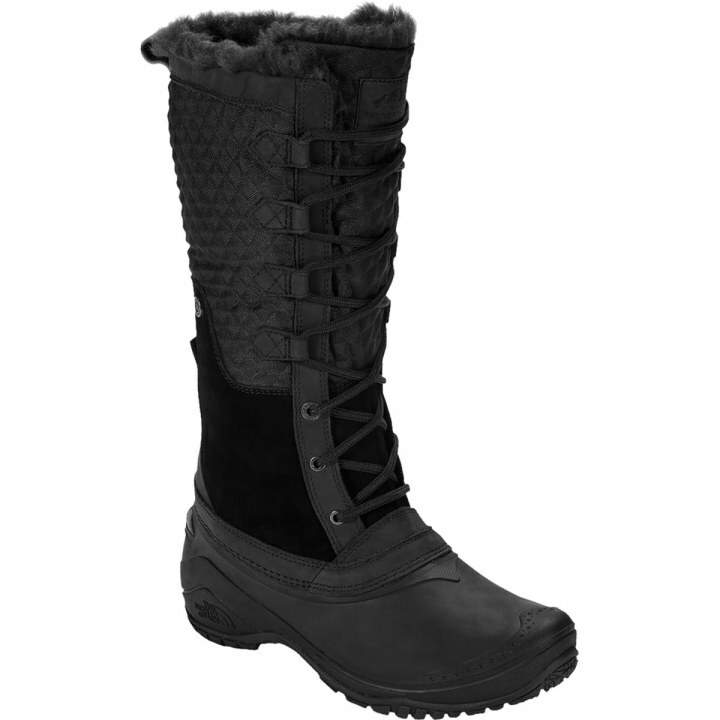 These all-black Polar Products boots were designed with a fully-waterproof construction and a fully-lined interior. They're finished with a slip-resistant rubber outsole, making them perfect for cold winter days when weather's at its worst. 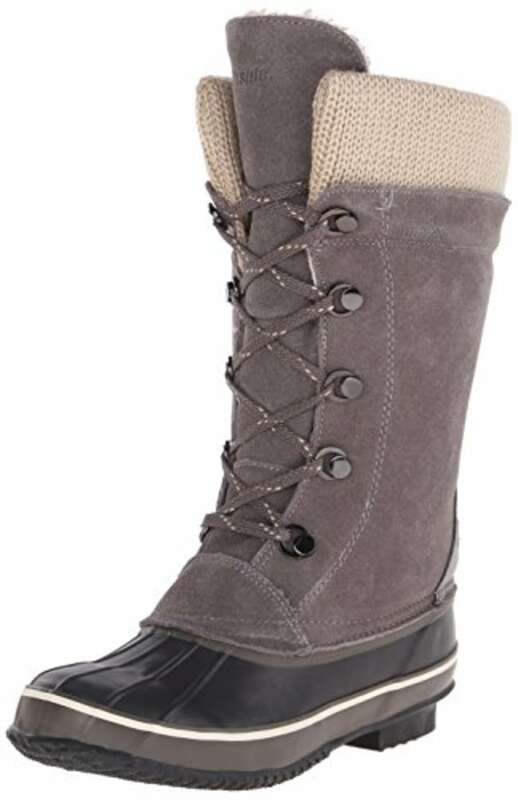 We love these tall boots from The North Face because the tall shaft hugs your calf and creates a sleek profile you can easily wear over skinny jeans, leggings or long underwear! From sledding to errands, après ski and beyond — you'll feel chic and weather-ready thanks to PrimaLoft insulation and an outsole that protects from slush, snow and cold. Plus, the rubber lug sole is temperature-sensitive to increase traction. The black-and-white design of these Pajar boots makes them a versatile option. Like most of our other picks, these are also waterproof, plus they have bonus razored treads for steady traction and stability, and a side zip and adjustable toggle cord at the back for easy on-and-off and a snug, warm fit. 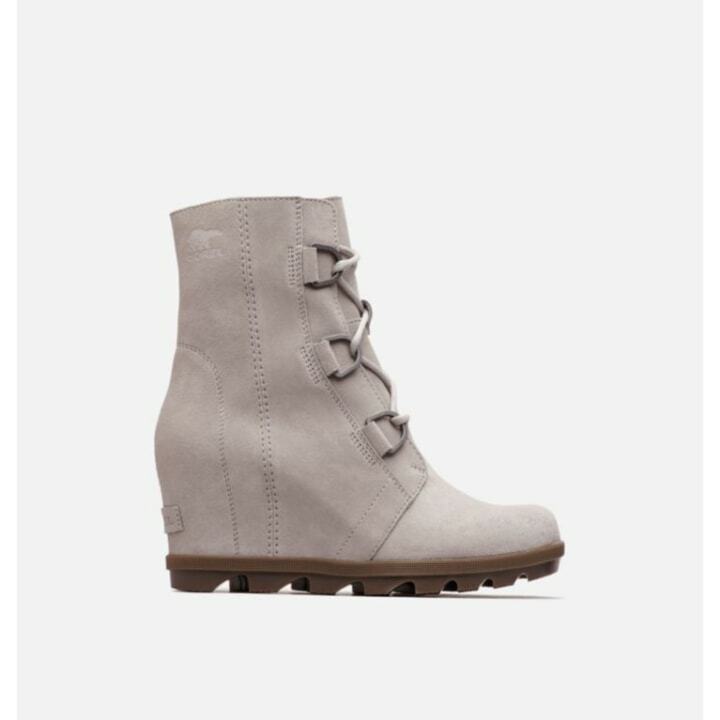 How cute are these short boots from L.L. Bean? They're especially lightweight and have an athletic-inspired rubber outsole and a ladder rung sole for extra traction. 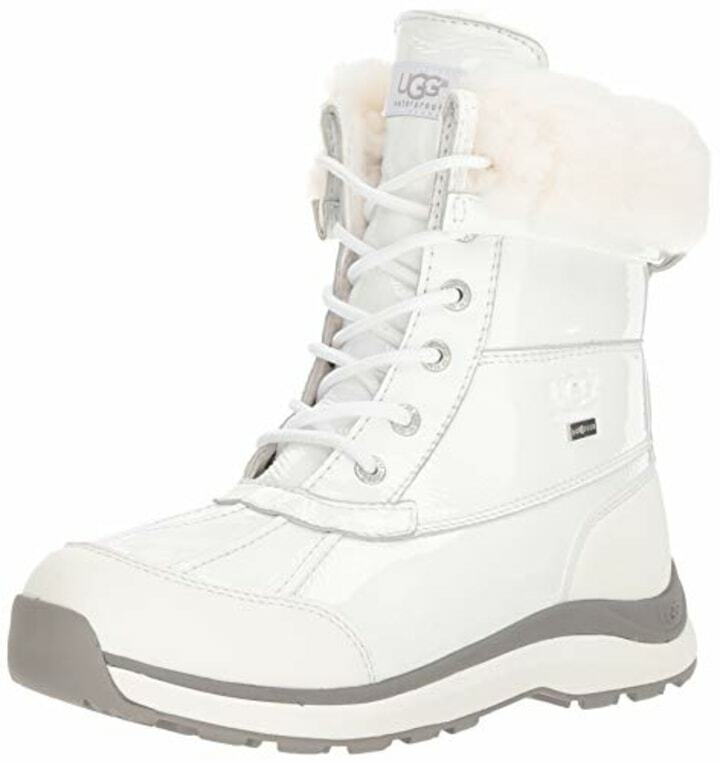 White is on-trend this year, so why not try these patent leather boots from Ugg? They're weather-rated all the way down to -32 degrees, and have a removable insole for cleaning or replacing as needed. 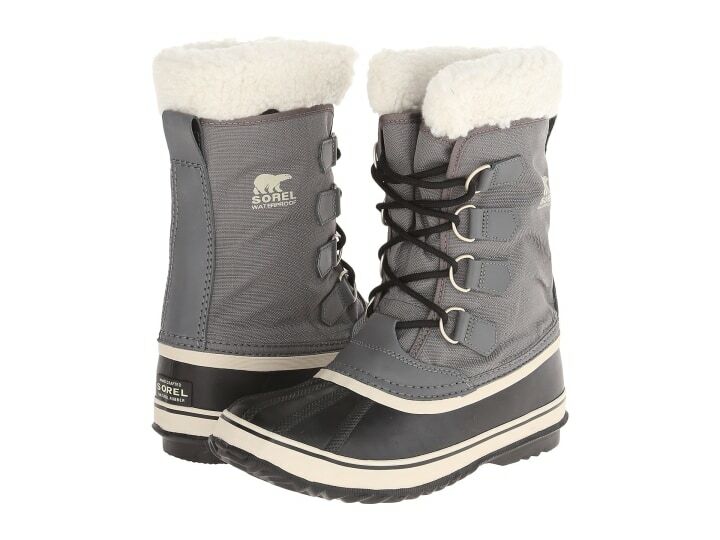 Another classic from Sorel, you can't go wrong with the Winter Carnival boots. They come in a few different colors, but we like how versatile the soft grey looks. 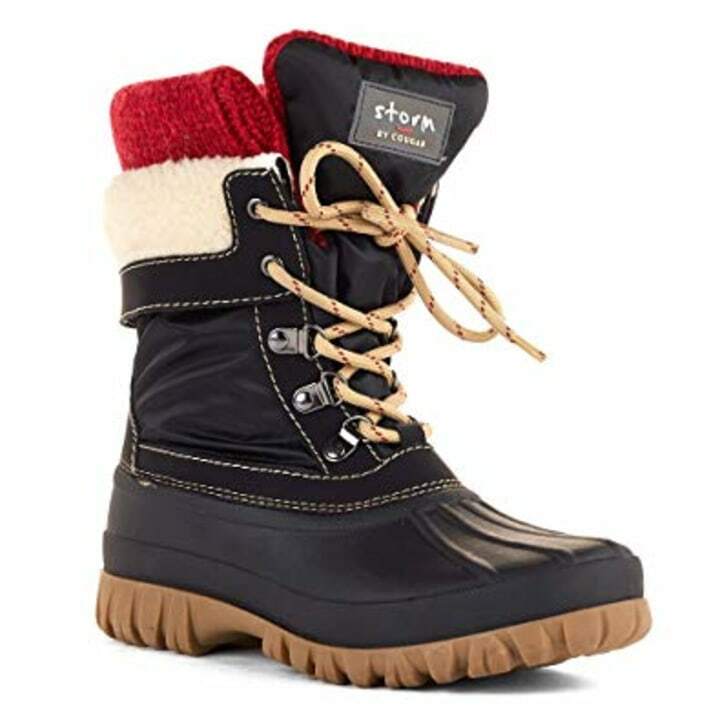 Whether you're stepping out for a late night walk with the dog, a jaunt to the shops in a quaint mountain town or directly off the slopes, these boots will keep you warm and dry all the way down to -25 degrees. 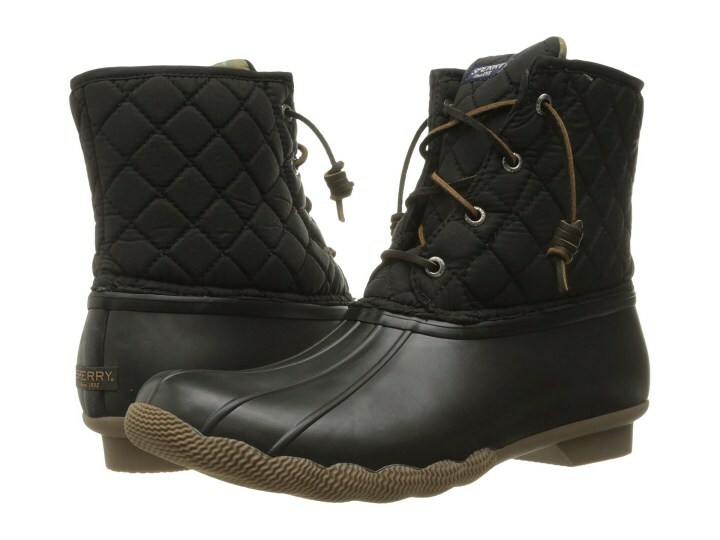 For slushier, warmer weather, consider a cute, shorter style like the Sperry Saltwater quilted boots. They're fully lined with micro-fleece to keep you cozy, and the non-marking outsoles ensure you won't scuff up any floors when you transition from the ice to indoors. We love these understated brown-and-black boots from heritage outdoor retailer L.L. Bean. The removable felt lining is trimmed with faux fleece for style and warmth, and the rubber, slip-resistant tread gives great traction. Best of all, these boots really mean business — they'll keep your feet cozy all the way down to -45 degrees. 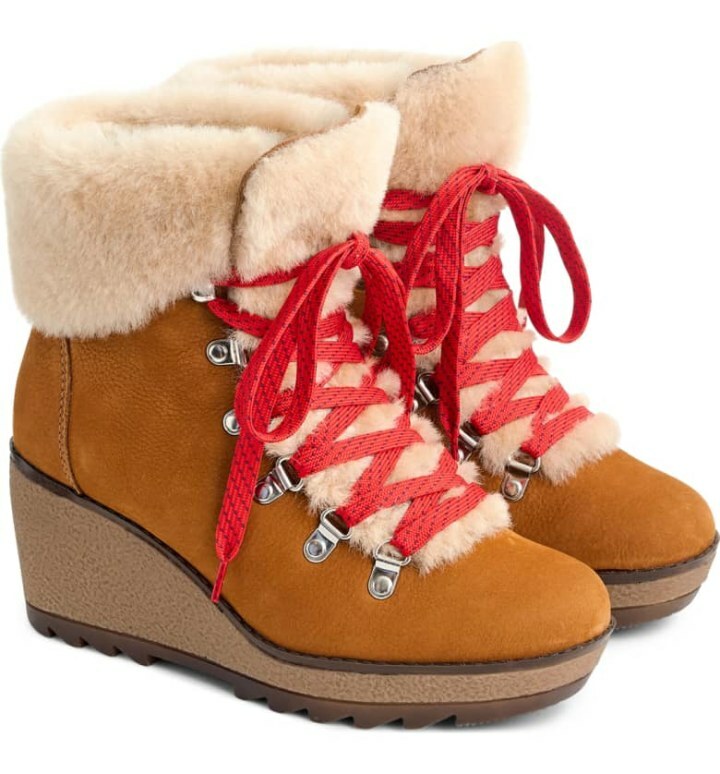 If you want to keep your feet warm and dry without sacrificing style, these J.Crew wedge boots trimmed with authentic shearling will go with all your chicest après ski looks. 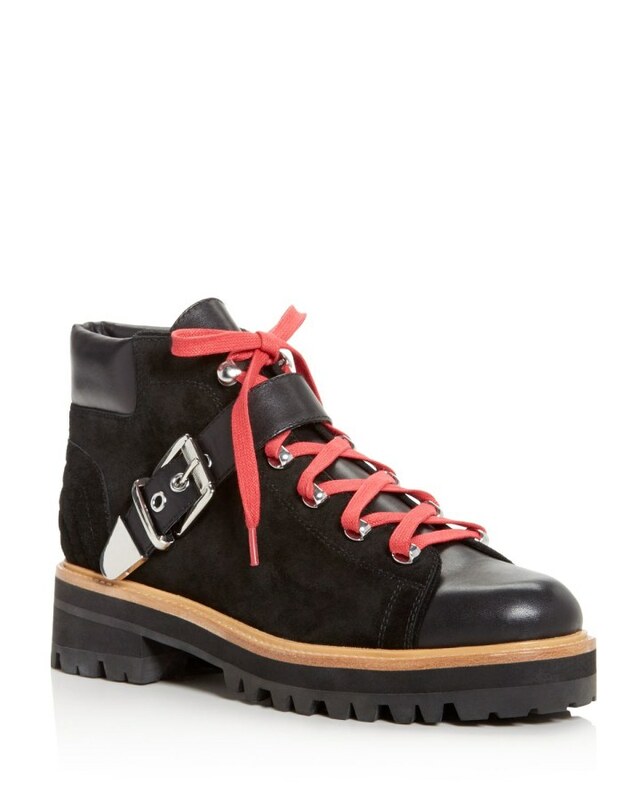 Inspired by a classic hiking boot, they also come with two sets of laces to make every outfit more colorful. 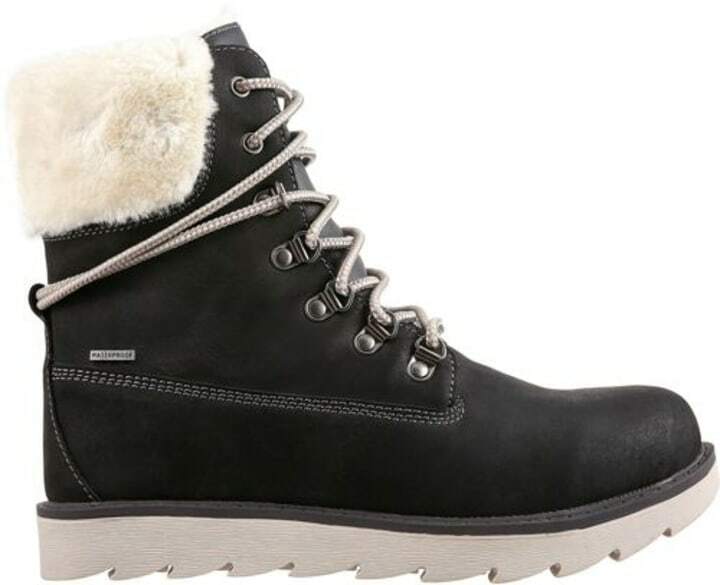 Tromp around the snowy city in style with these affordable pile-lined boots from H&M. "I'm really loving the combat boot comeback," said Murtagh of boots like these. "I'm a sucker for the bright red laces that add an extra pop of vintage style." 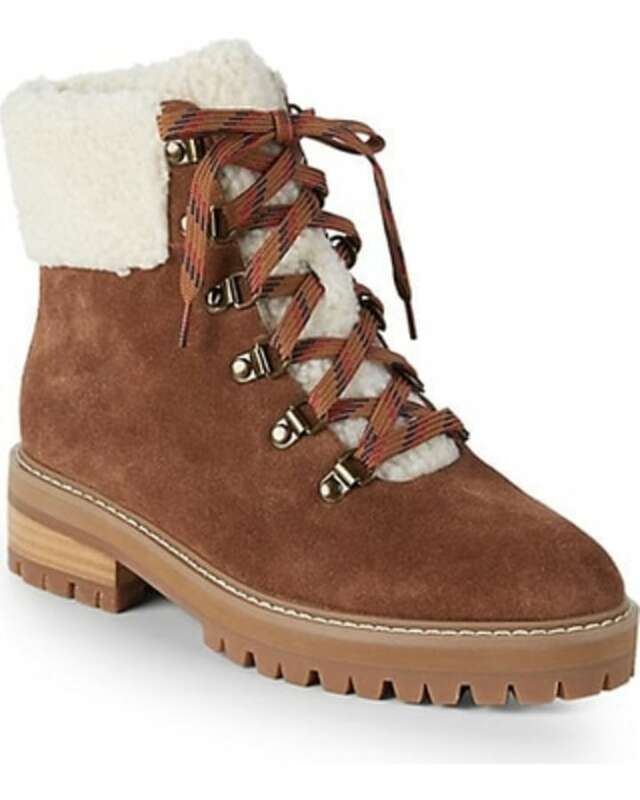 We found these Renvy boots marked down at Saks Off Fifth, and love the shearling trim and hiking-inspired laces. These classic Timberland boots are updated for the winter weather with authentic shearling lining and a waterproof membrane. With impressive insulation for lasting warmth, these stylish waterproof boots are great for treading through the slushy streets. "Brands have really slimmed down the traditional chunky styles for a more chic look in the last few years with so many options to choose from," Murtagh said. 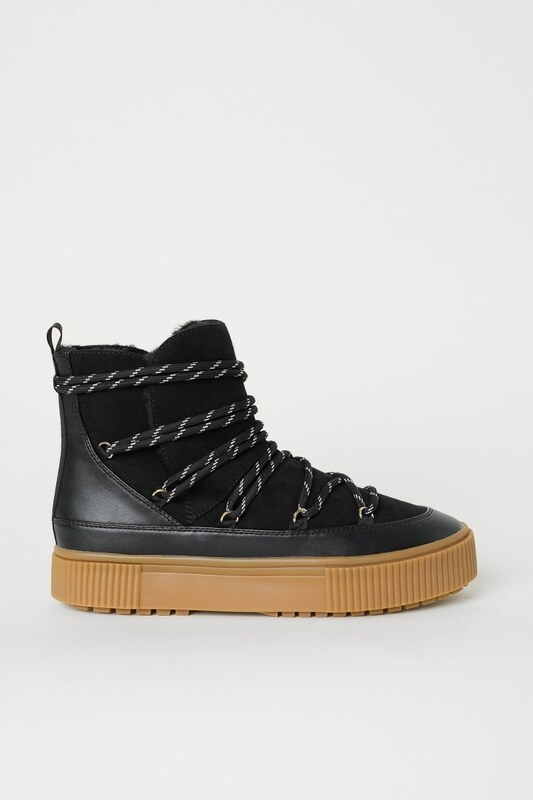 "These Marc Fisher boots are everything. I love anything that is both mountain-ragged yet feminine. Any pair that can go with jeans as well as a winter skirt or dress is a winner in my book." 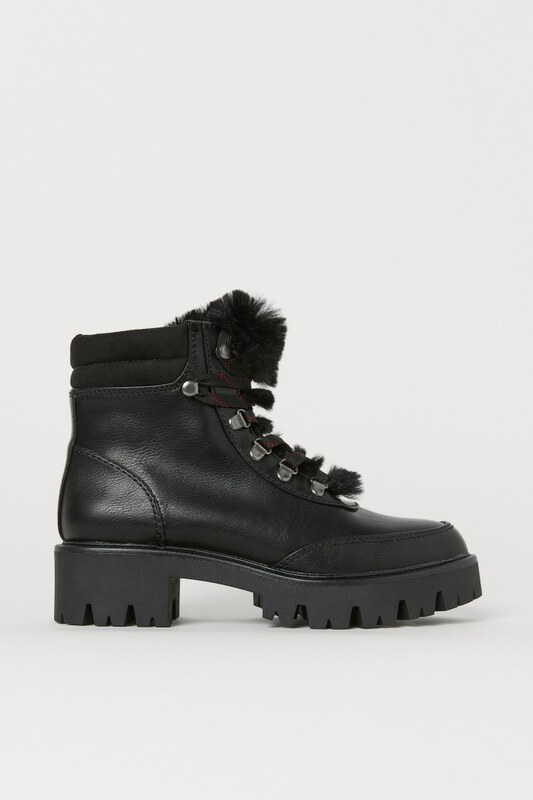 We wouldn't recommend these cute little boots from H&M if the weather gets really bad. But for keeping your feet warm on a cold day, or for lounging around the neighborhood, they're great! 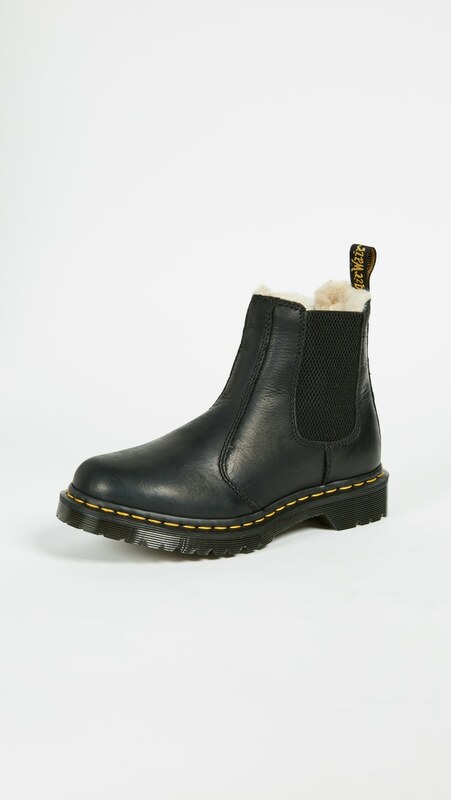 For a fun twist on a classic '90s style, try these faux fur-lined Dr. Martens boots. Along with being fashionable, they've got a breathable moisture-wicking liner and memory foam pods in the sole for support and comfort. 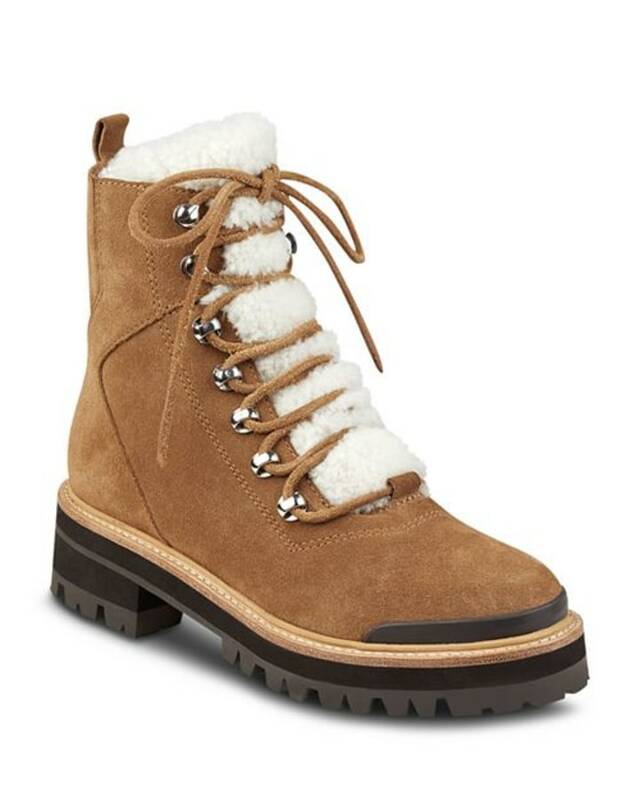 To make sure an affordable pair of faux hiking boots like these can last you through the winter, we recommend treating them with a waterproofing spray before you hit the slushy, snowy streets. 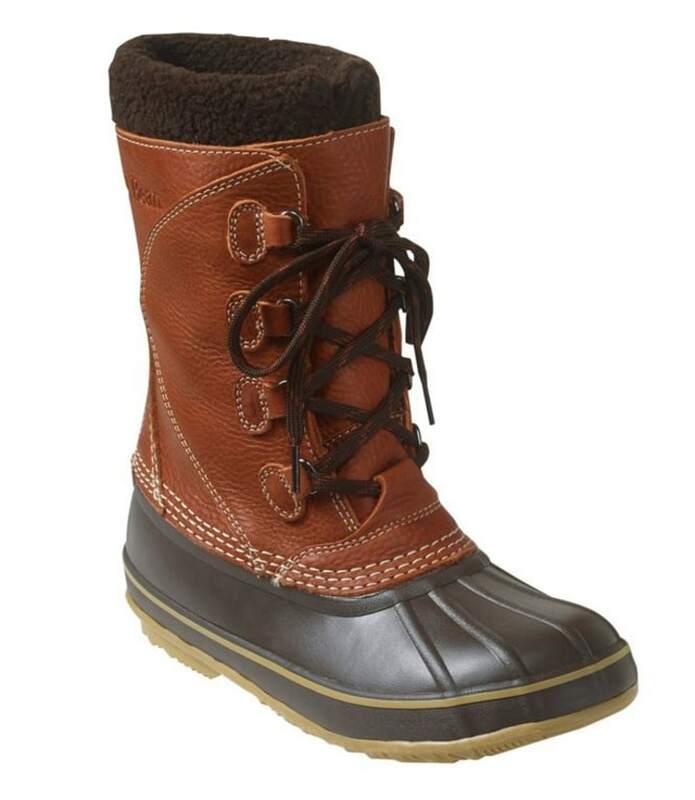 "Every year Sorel paves the way in fashionable snow boots," said Murtagh. "The Joan of Arc Wedge offers a nice heel height with a super durable sole that you can take from the snowy outdoors to business meetings or a night out, without swapping shoes." 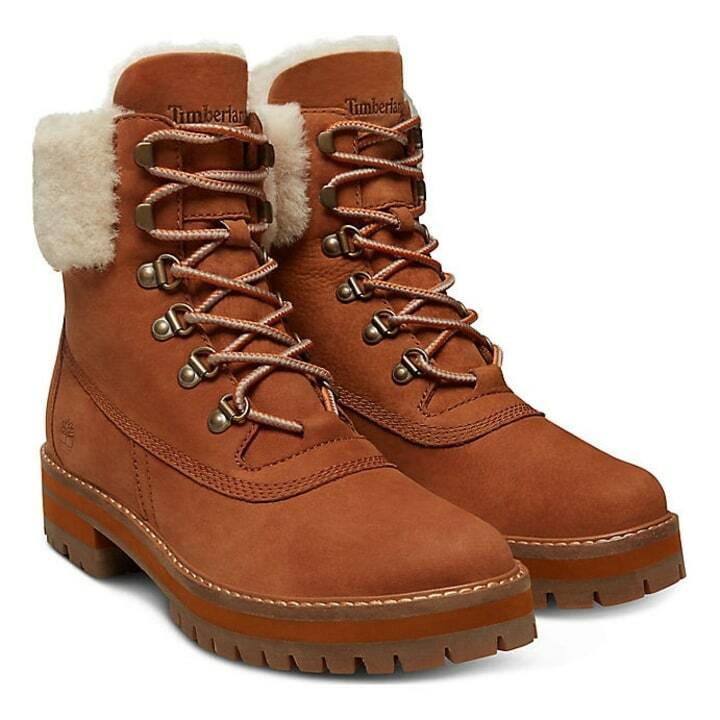 The price, style factor and the waterproofing combine to make these shearling-trimmed boots a perfect choice for city-dwellers in cold climates. They can handle temperatures as low as -10, and the memory foam insole ensures all day comfort.